Researchers have uncovered the world's oldest known tattooist's kit - and among the most startling conclusions is that two of the four tattooing tools found are made from human bone. The intricate, multi-toothed tattooing tools were found on Tongatapu Island - Tonga's main island. Radiocarbon dating found them to be around 2,700 years old, making them the oldest confirmed tattooing combs found in Oceania. The presence of a likely ink pot originally discovered with the tools in 1963, which was documented at the time but is now missing, also makes the find the oldest complete tattooing kit to be discovered anywhere in the world. Associate Professor Geoffrey Clark of The Australian National University (ANU) School of Culture, History & Language said the discovery sheds further light on the long-running debate about where Polynesian style tattooing first developed. "These bone tattoo combs are a very specific type of technology found across Oceania," Associate Professor Clark said. "The question has always been were these tools introduced to the Pacific through migration, or were they developed in Polynesia where we know tattooing has a very prominent role in society and spread from there. This discovery pushes back the date of Polynesian tattooing right back to the beginnings of Polynesian cultures around 2,700 years ago." The tools themselves have seen very little change in almost 3000 years, with traditional tattooing equipment still used in the Pacific near identical to the ancient examples. 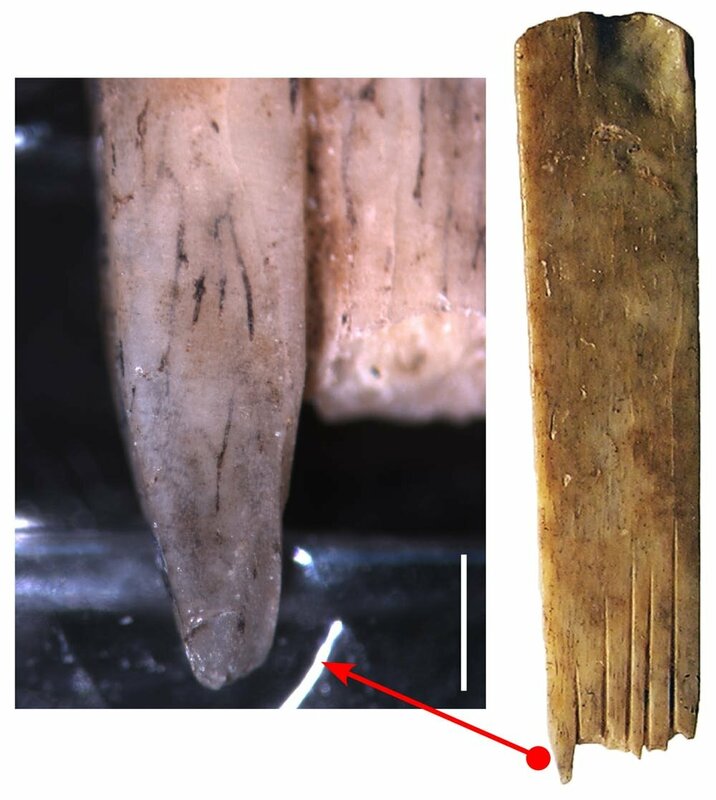 Dr Michelle Langley, from Griffith's Australian Research Centre for Human Evolution, said the discovery of early tattooing implements is exceptionally rare. "To find an entire kit is phenomenal. We very rarely find a whole kit of any type of tools in the archaeological record," Dr Langley said. "These artefacts show that the modern tattooist toolkit - one-piece narrow combs, haft, mallet, carbon pigment, mortar, pestle, and ink-holding vessel - were in use 2,700 years ago in West Polynesia. The kit most likely belonged to one tattoo artist." "One tool was broken and it looks like it was being repaired, so perhaps the kit was accidentally left behind or was too broken to bother salvaging. Perhaps the tattooist was given a new set. The actual tool itself - the comb shape and the way it's used - hasn't changed much, and that's why this find is so interesting. These ancient tools continue to be used today." The ancient tattooist's kit was excavated on Tongatapu by Dr Jens Poulsen, then of ANU. The entire kit was feared to have been destroyed during the 2003 Canberra bushfires. While the tattooing combs were found safe and unharmed, the ink pot has not been recovered. A/Prof. Clark and Dr Langley, who are the first researchers to minutely study and date the kit, said the four tattooing tools are made from bone - two from a large seabird and two from large mammals. 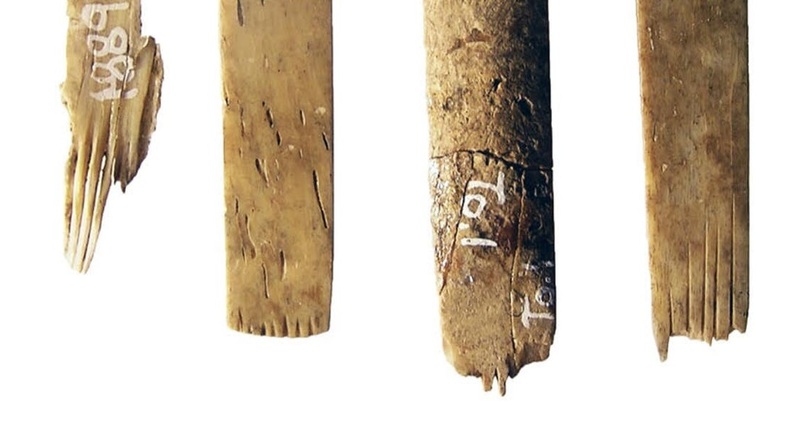 "As there were no other mammals of that size on the island at the time, and human bone is known to be a preferred material for making tattooing combs, we believe they are most likely made from human bone," Dr Langley said. "Tattooing combs like these are important for making the complex linear designs famous in Oceania. Tattooing is very important in the Pacific. When Christian missionaries came through and banned tattooing on certain islands, people would travel to other islands to get their tattoos as they represented important aspects of their beliefs and traditions." The oldest evidence for tattooed skin goes back more than 5000 years to the age of mummies in Egypt and the Italian iceman Otzi, but the tattooing tools in these places are largely unknown. The article has been published in the Journal of Island & Coastal Archaeology.